Adelphi University’s Department of Theatre will present Agatha Christie’s murder mystery, “The Hollow,” on Tuesday, Feb. 26, through Sunday, March 3, featuring its own talented students. 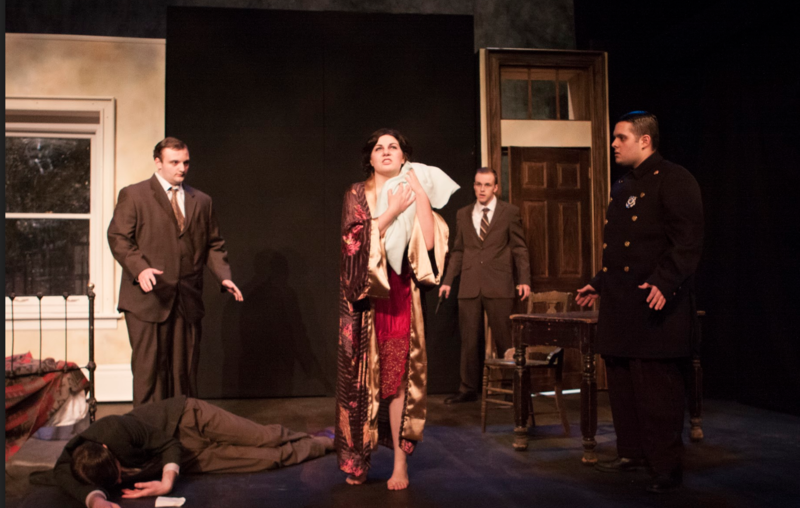 Match your wits against the most murderous mind in fiction when Christie, the “Queen of Crime,” brings passionate love, lost love and deadly love in this exciting production. An innocently planned weekend (or was it?) flashes into passion and murder as the guests — some expected and some not — collide at The Hollow, home of Sir Henry and the eccentric Lucy Angkatell. Follow the action to determine who has the motive and chance to kill. Is it the talented but tortured sculptress, the jilted and vicious movie star, the disregarded lover, the desperate young girl, the foolish wife, the hostess who knows more than she lets on, or the very protective butler? When the inspector and his loyal sergeant arrive, the body of a brilliant doctor awaits them, secret motives are laid bare and justice is restored. Christie’s “The Hollow” will be staged at Adelphi PAC’s Olmsted Theatre on Tuesday, Feb. 26 at 7:30 p.m.; Wednesday, Feb. 27 at 6:30 p.m., with a post-show discussion; Thursday, Feb. 28 and Friday, March 1 at 7:30 p.m.; two shows on Saturday, March 2 at 2 and 7:30 p.m.; and Sunday, March 3 at 2 p.m. The 2 p.m. performance on Saturday will be open-captioned for deaf and hard-of-hearing patrons. Tickets are $25, with discounts available to seniors, students, staff, and alumni. Information is available at the Lucia and Steven N. Fischer Box Office at 516-877-4000 or boxofice@adephi.edu. Regular office hours are Tuesday through Friday from 1 to 6 p.m., and the box office is also open two hours before most scheduled performances. Ticket sales and additional information are available online. Adelphi’s PAC is one of Long Island’s premier cultural arts venues for entertainment of all kinds. See more about other upcoming Adelphi PAC offerings at pac.adelphi.edu.